Date of Construction 1923 - 1925 AD. 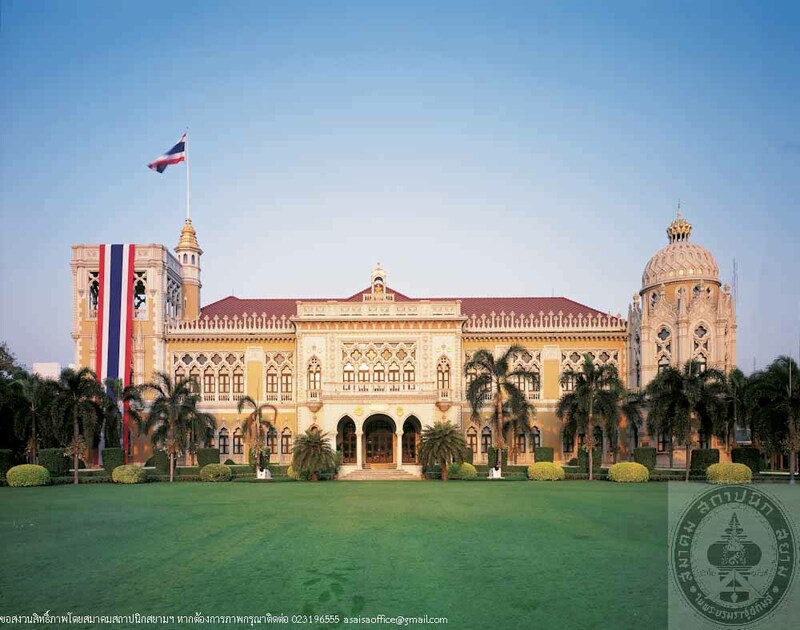 Thai Khufa Building was originally named “Kraison Building”, principal structure in “Ban Norasing”, the residence of General Chaophraya Ramrakhop (Mom Luang Fuea Phuengbun) whos was an important official in the reign of King Rama VI. 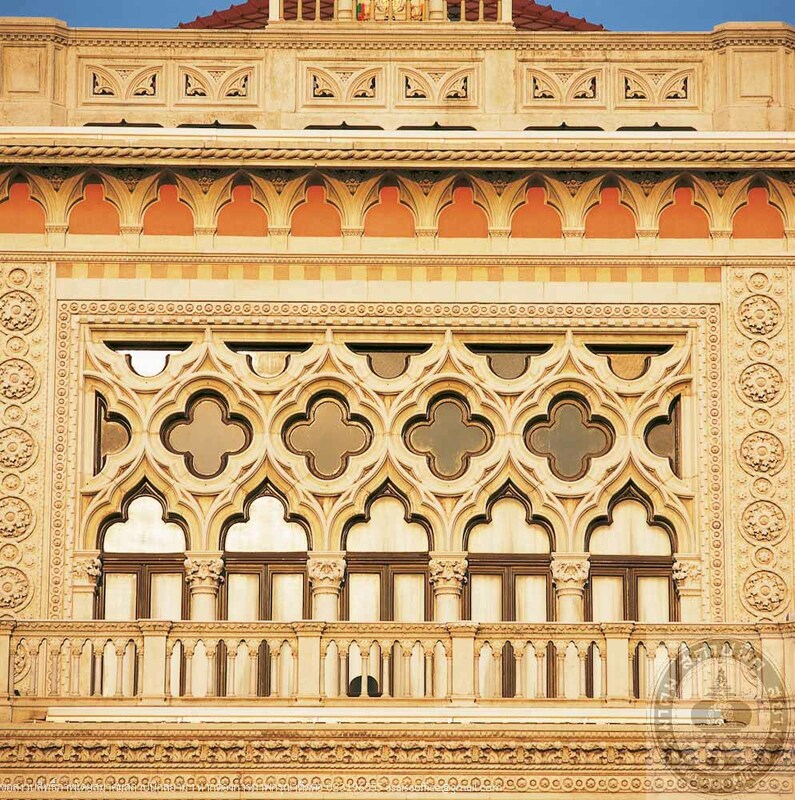 The building was designed by Mr. Mario Tamagno and Mr. Annibale Rigotti, Italian architects, in Venetian Gothic Revival style. 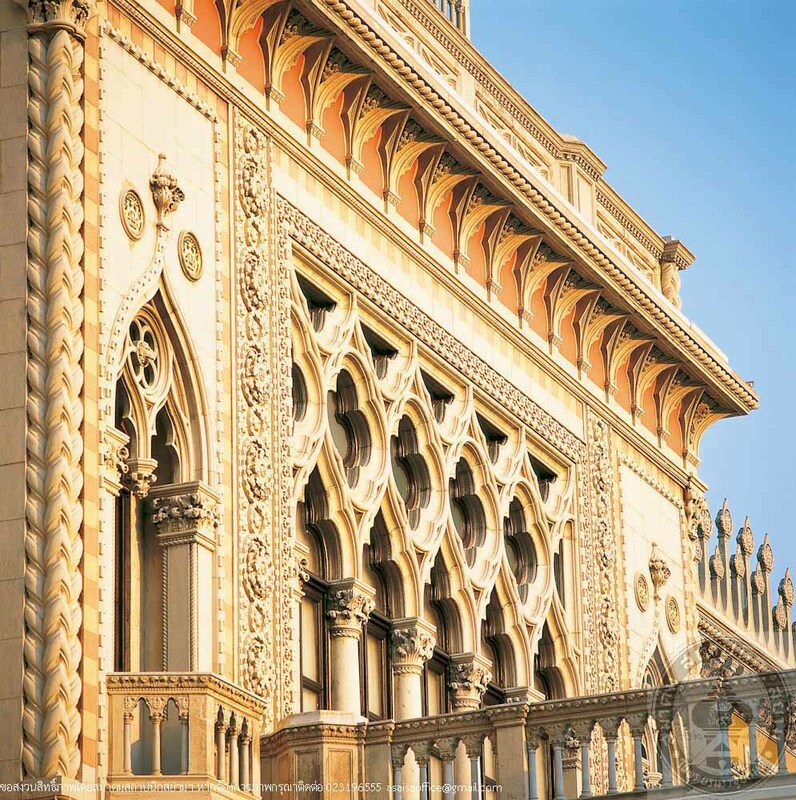 The architectural features are similar to those of Palazzo Ca’d’Oro in Venice with dome, point arch, tower elaborate moulding and stucco decorations. In 1941, the government of Field Marshal P. PhibunsongKhram bought Norasing house to be used as a reception house for state guests and assigned Professor Silpa Bhirasi to design for the extension. The house was renamed “Thamniab Sammakhichai” and “Thamniab Ratthaban” consecutively, and Kraison Building was changed to “Thai Khufa Building”.